Learn how to join new yarn with a front post half double crochet stitch! 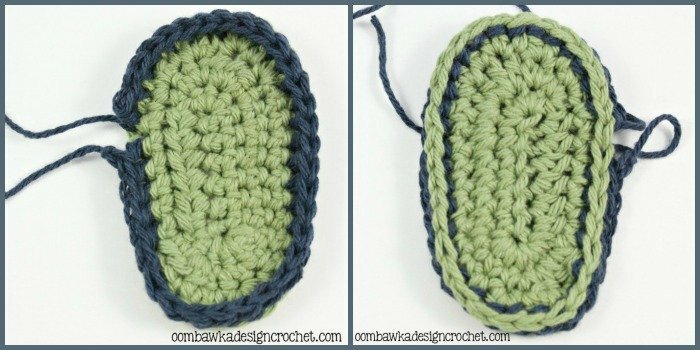 This tutorial will walk you through the steps you need to follow to make this standing crochet stitch. 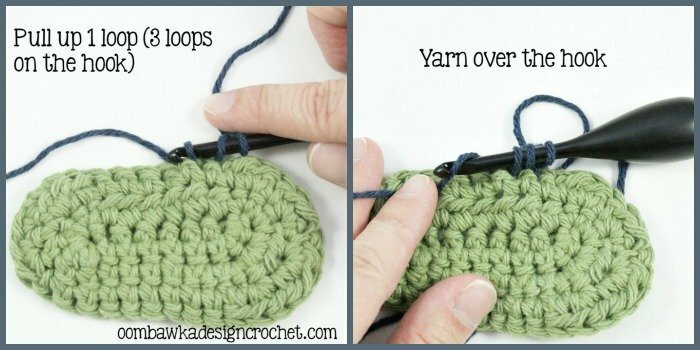 Another way to join yarn for a crochet project is with post stitches. For this example I am demonstrating how to join yarn using a standing fphdc (front post half double crochet stitch). 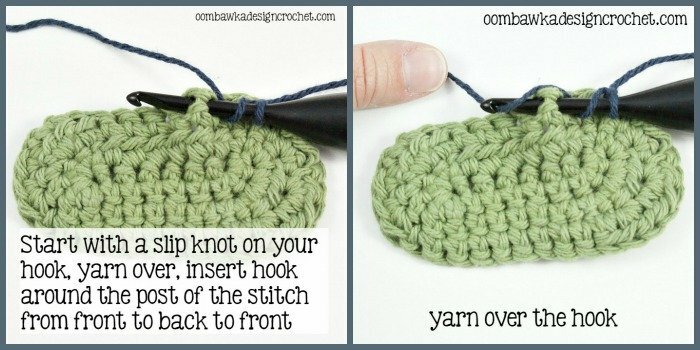 This technique is exactly the same as using a standing half double crochet to join your yarn except you will be working around the post of the stitch instead of in the loops of the stitch. 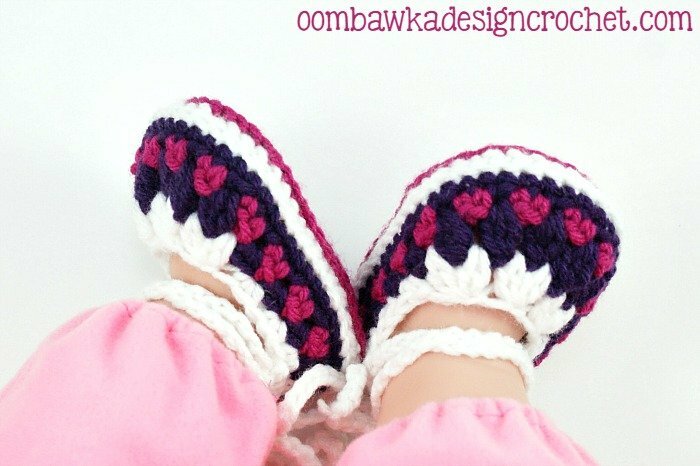 This tutorial was created specifically to assist with Fiona’s Baby Booties (Free Crochet Pattern) but the technique will work for any project where you need to join new yarn with a front post half double crochet. One word of assistance – hold onto that first yarn over until you have secured the first stitch. It tends to ‘untwist’ and disappear if you are not holding it with a finger. Start with a slip knot on your hook, yarn over your hook (this is the one you need to hold against your hook so it does not vanish! ), and insert the hook from the front of the project, to the back of the project and back to the front of the project around the specified post. Yarn over the hook. Pull up 1 loop. You now have 3 loops on your hook (if you only have 2 you have lost that first yarn over!). 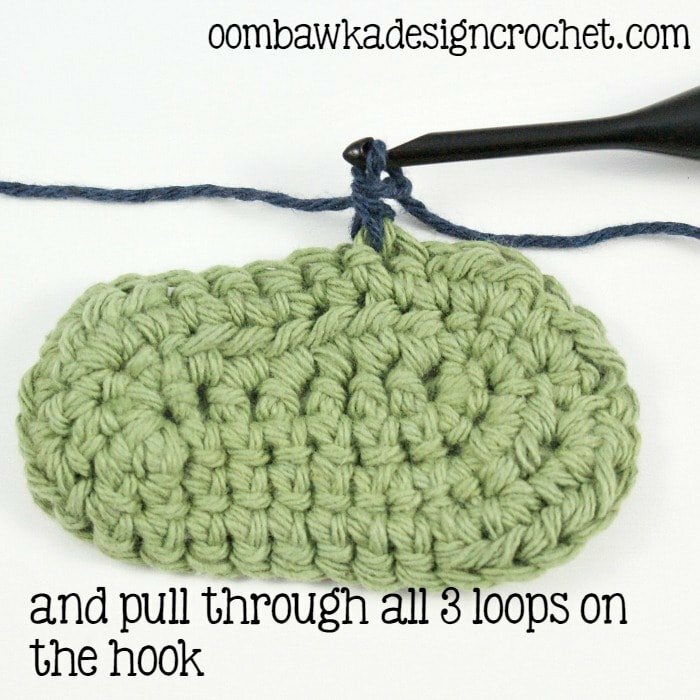 Yarn over the hook and pull through the remaining 3 loops on your hook. This type of join helps to change the direction of the stitch – moving from the sole of the slipper to the side of the slipper. See how the final blue round in the left photo (above) has the tops of the stitches facing upwards? Instead of out to the sides like the stitches normally would if you were working in rounds? It also makes the bottom edge stand out 🙂 I find this method very visually pleasing!